Soundtrack Loops has (re) released L.A. Riot Vol. 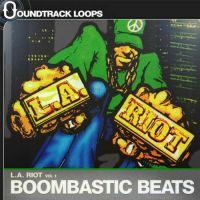 1: Boombastic Beats, a set of drum loops and samples for producing "Boom Bap" Hip Hop with a 90s flavor. Ableton Live .alp and racks.